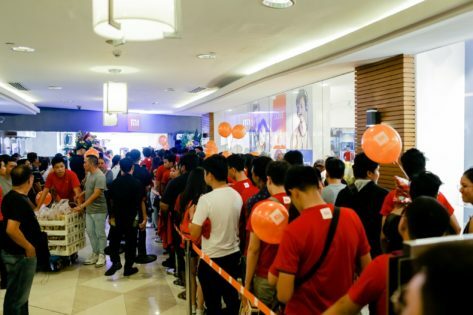 Xiaomi Philippines recently launched its first ever Mi Store in the city of Manila. 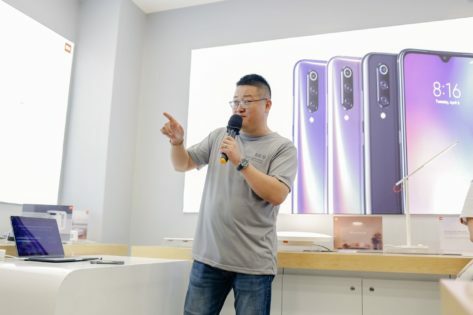 Alongside the opening of its newest store in Lucky Chinatown, the tech brand also unveiled its newest flagship phone, the Mi 9. The Mi 9 merges fantastic performance with an astonishing design. Moreover, it’s bringing a whole new meaning to details with its ultra-clear triple camera setup. Boasting a Qualcomm Snapdragon 855 processor and a 48MP triple camera, Xiaomi’s newest flagship is one impressive device. Its 6.39-inch AMOLED Display and all-curved holographic design complete this smartphone’s gorgeous design. “Mi 9 has the 48MP sensor offers 4 times more pixels compared to a typical 23MP sensor. 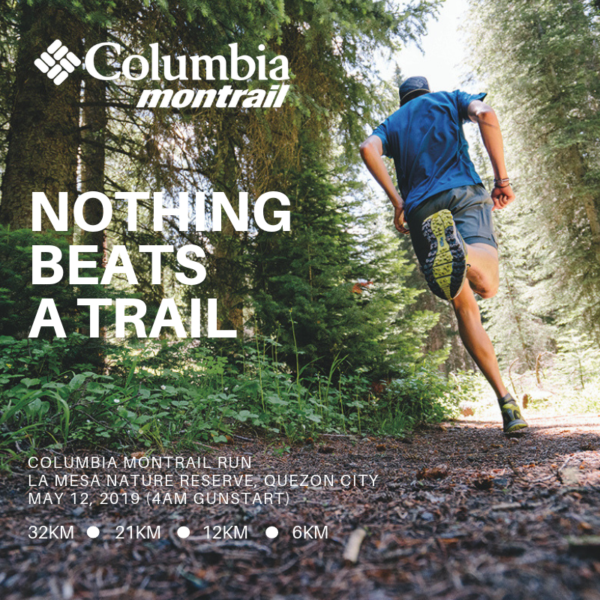 So you get poster-worthy, ultra-high resolution shots,” said Peaker Gaofeng, Xiaomi Philippines’ Country Manager. Other than the 48MP sensor, the Mi 9’s snapper consists of an AI triple camera and Sony IMX 586. 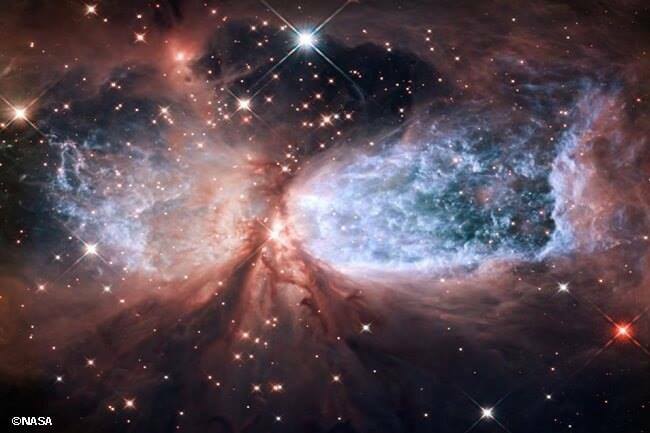 These specs allow for the flagship to capture photos in the world’s highest resolutions for smartphone images. Answering the big question of the phone’s cost, Gaofeng announced that the Mi 9 is up for grabs for only P22,990 for the 64GB variant while P24,990 for 128GB. Truly, Xiaomi holds to their honest pricing promise. After the ribbon cutting, the new Mi Store sold out the Mi 9 and Redmi Note 7. 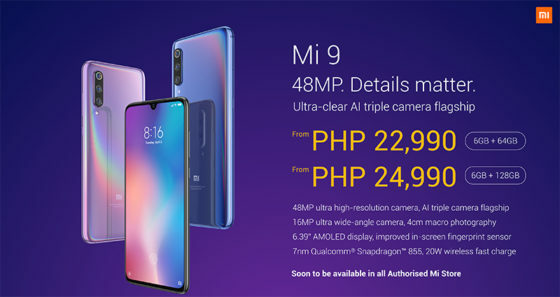 For news on when the Mi 9 will soon be available in authorized Mi Stores, visit www.facebook.com/XiaomiPhilippines.